LEONARDO PAINT in partnership with Generalux Ltd is delighted to announce that we are participating in the 19th edition of BATIMATEC Fair to be held from May 3 to 7, 2016 in Algers. We are waiting for ye! 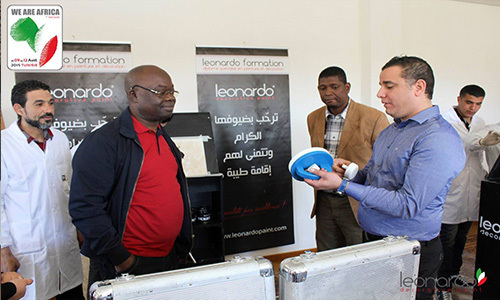 Leonardo arrives in Senegal - DAKAR. 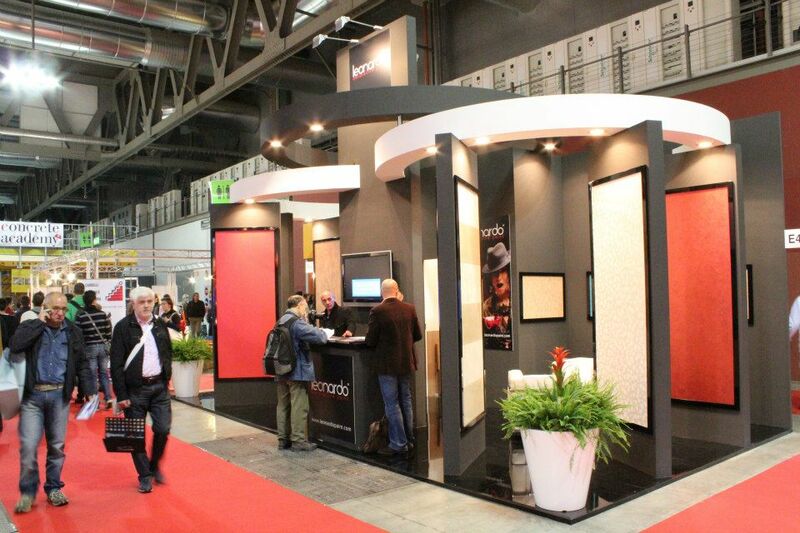 For the first time in the world of decorative painting, discover the best of Italian quality! The event of the year 2016! 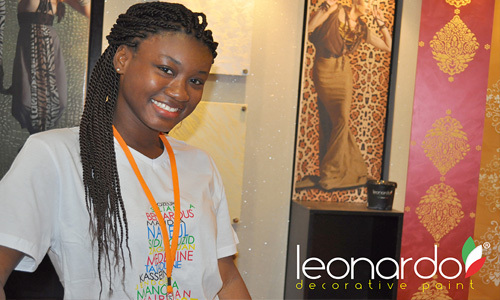 Launch of the new range of decorative painting LEONARDO! AUREA -ASTRUM - PETRA. Parade, awards and many other surprises! LEONARDO PAINT 2016 ! The trade fair for architecture and the building No. 1 in West Africa. 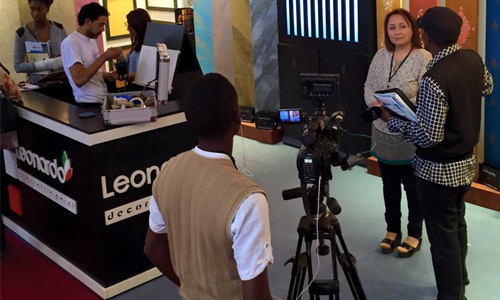 At the heart of the economic capital Abidjan, Le Salon ARCHIBAT 2015 edition opens its doors to all professionals worldwide. 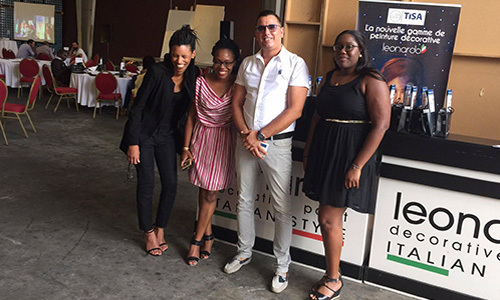 LEONARDO PAINT is pleased to invite you to discover the Italian colors in ABIDJAN! 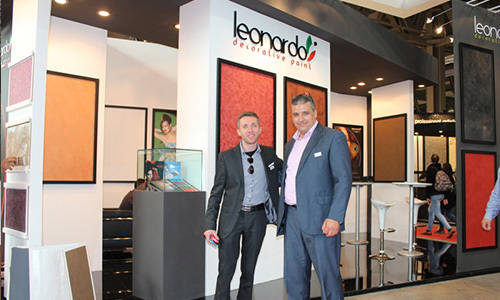 Visit the Leonardo Paint booth at the fair Made Expo 2015 in Milan. 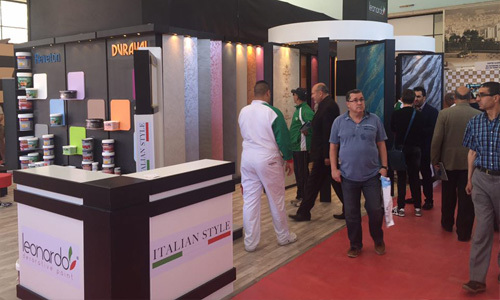 The best Fair of Architecture and decoration organised in the world! Come join us in Milan! 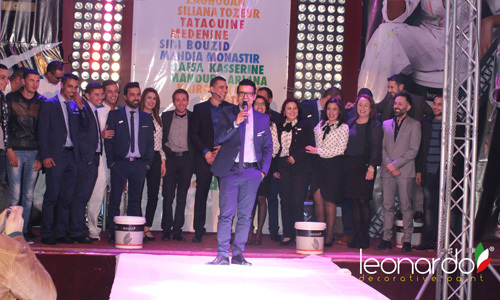 Surprises, novelties, the Leonardo's event !